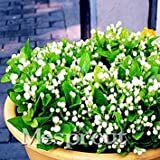 Jasmine plant growing shrub to vine of the genus Jasminum also known as Jasmine flower, Jasmine plant perennial evergreen used as fragrant ornamental hedge or ground cover plant and attract pollinators, can grow in temperate, mediterranean, subtropics or tropical climate and growing in hardiness zone 6+. 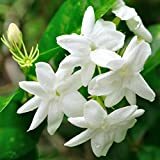 Flower fragrant color white, yellow or pink with five petals or can double flower, the flowers grow in clusters. 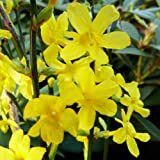 Jasminum nudiflorum HARDY YELLOW JASMINE 1 Plant!